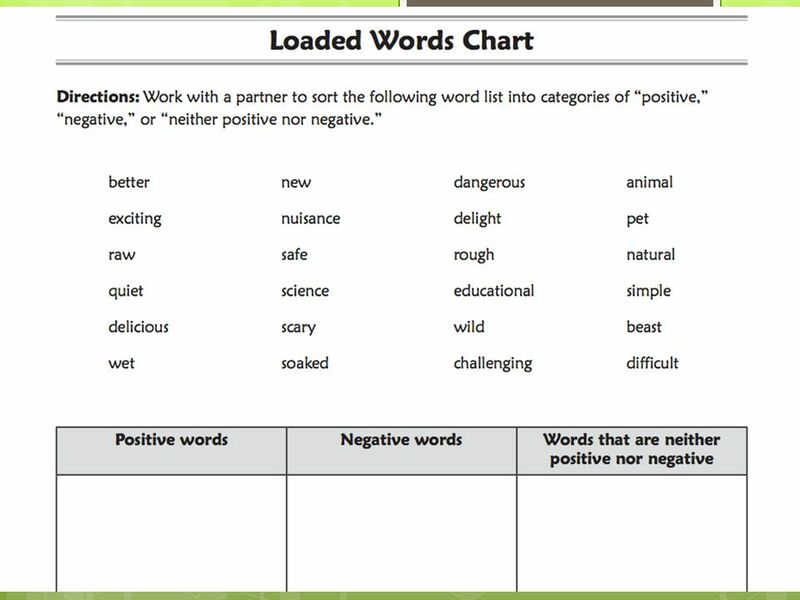 Loaded Words In persuasive writing. 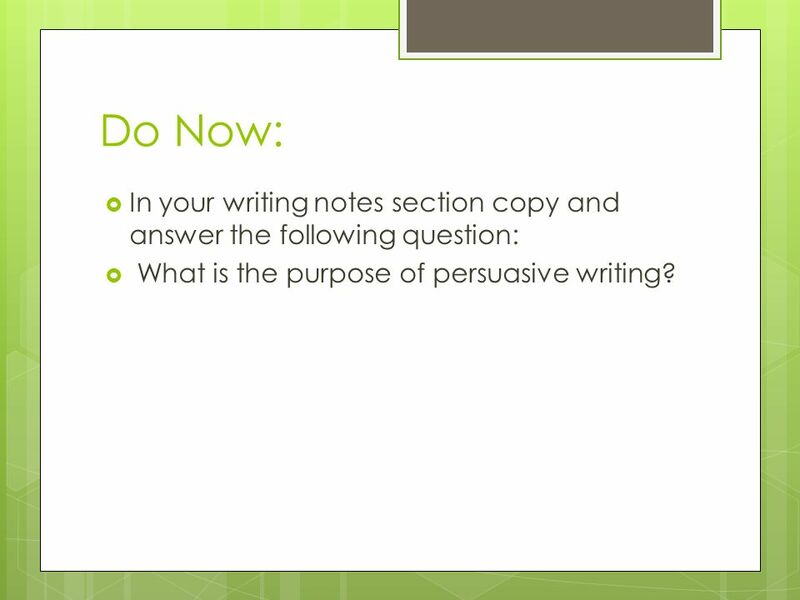 2 Do Now: In your writing notes section copy and answer the following question: What is the purpose of persuasive writing? 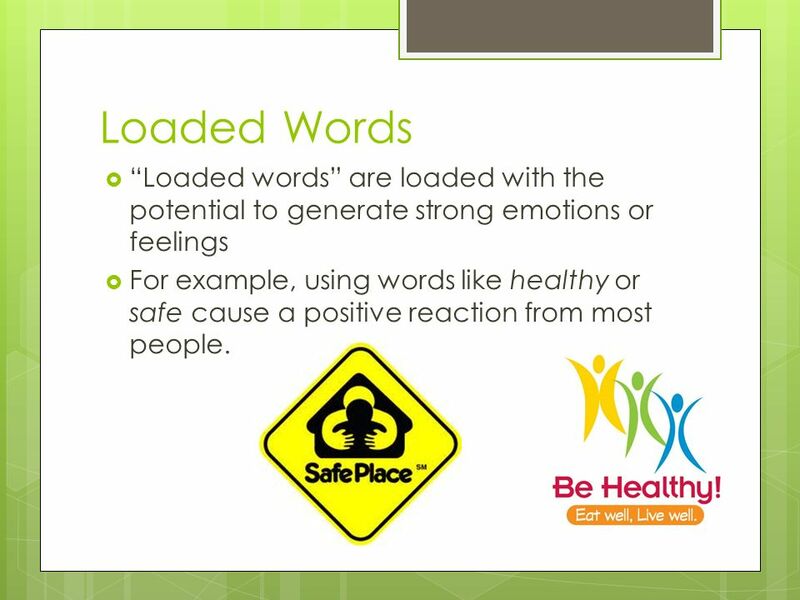 5 Loaded Words “Loaded words” are loaded with the potential to generate strong emotions or feelings For example, using words like healthy or safe cause a positive reaction from most people. 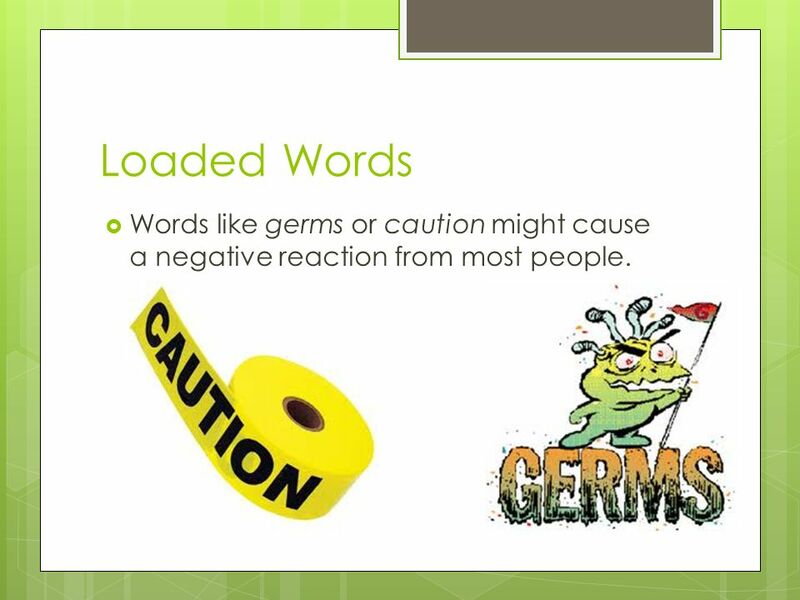 6 Loaded Words Words like germs or caution might cause a negative reaction from most people. 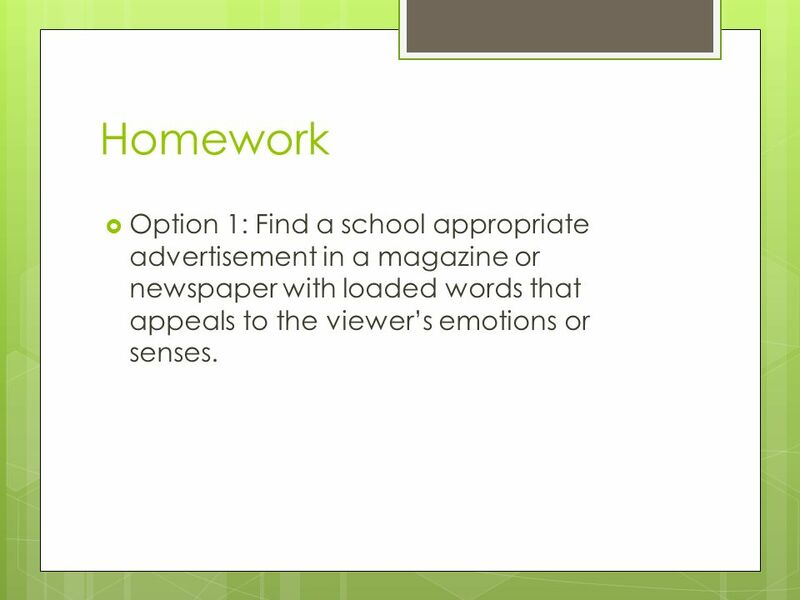 11 Homework Option 1: Find a school appropriate advertisement in a magazine or newspaper with loaded words that appeals to the viewer’s emotions or senses. 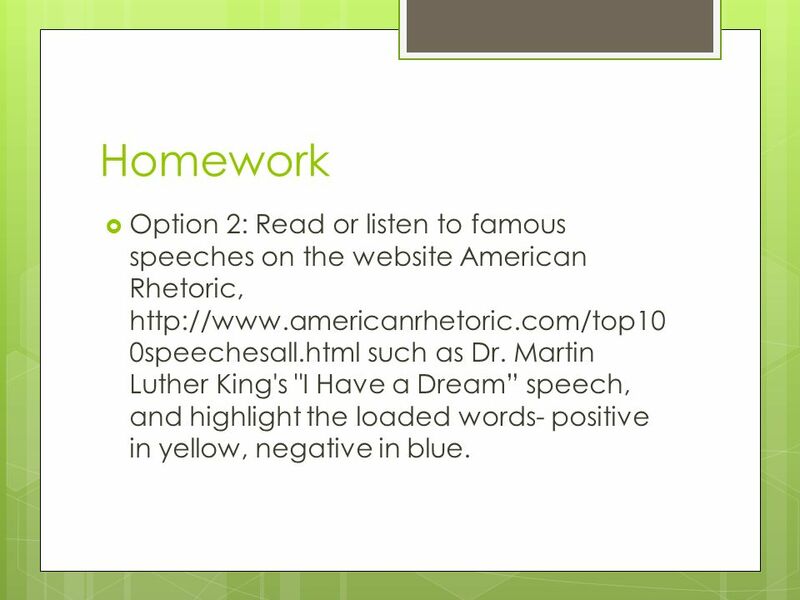 13 Homework Option 2: Read or listen to famous speeches on the website American Rhetoric, such as Dr. Martin Luther King's "I Have a Dream” speech, and highlight the loaded words- positive in yellow, negative in blue. 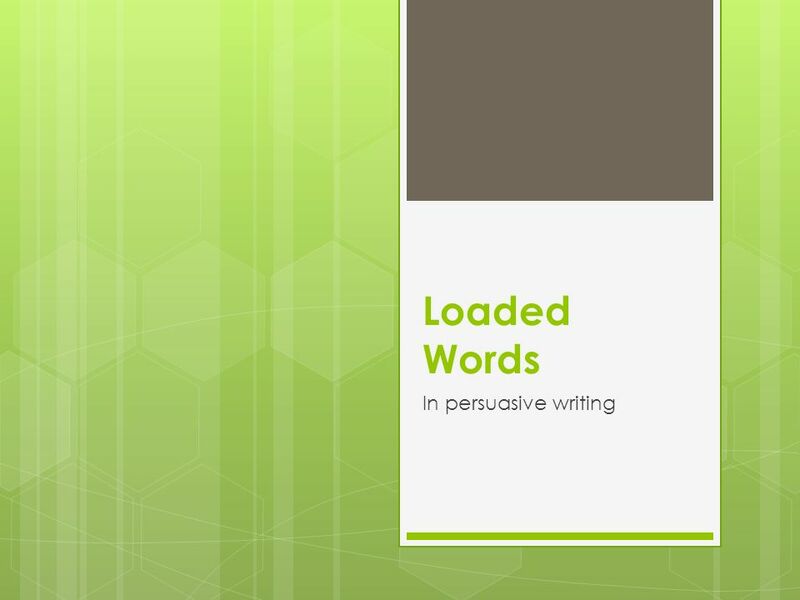 Download ppt "Loaded Words In persuasive writing." Emotional Appeals in Persuasive Writing How writers and advertisers use your feelings to get you to agree with them. 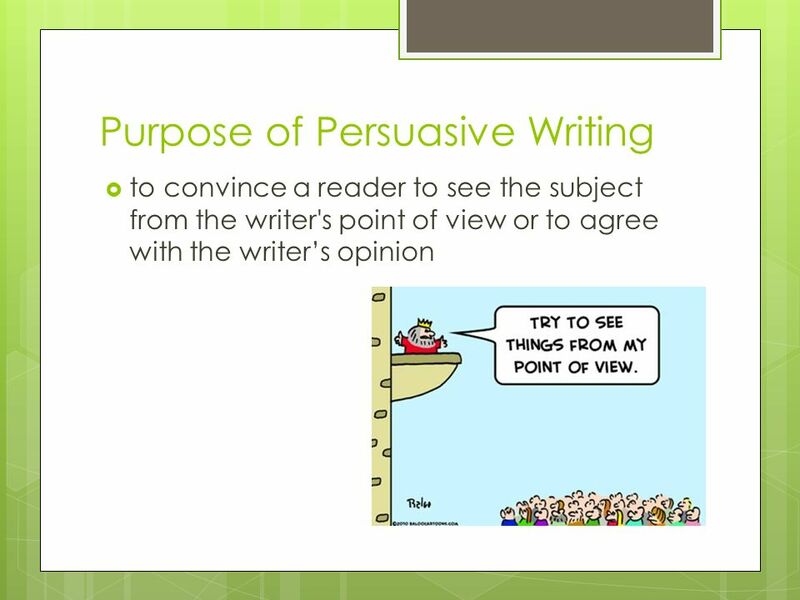 What is a persuasive paragraph? 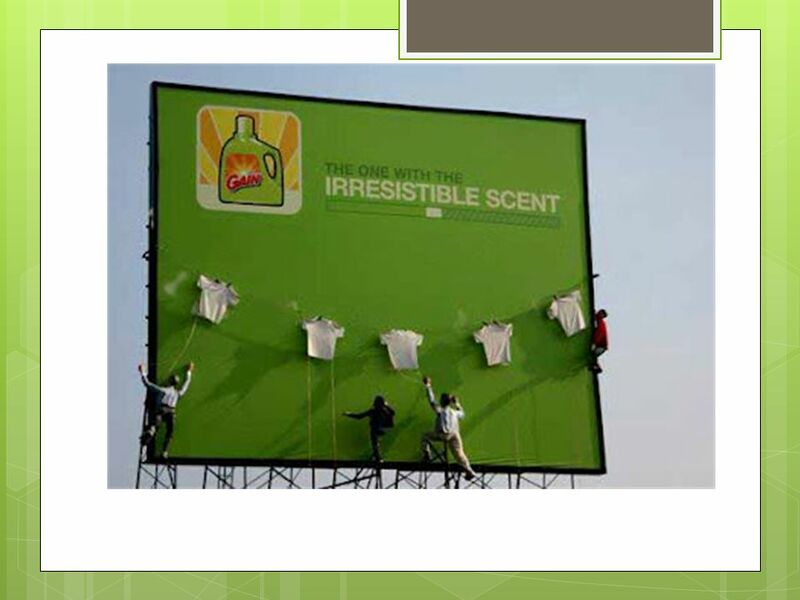 An advertisement for a product or service. Trying to convince your reader to buy or do something. Trying to convince your. January 15, April 4, The Early Ages:  Martin Luther King was born on January 15 th, 1929 in Atlanta, Georgia.  The King’s family was very. Persuasive Essay. Why? 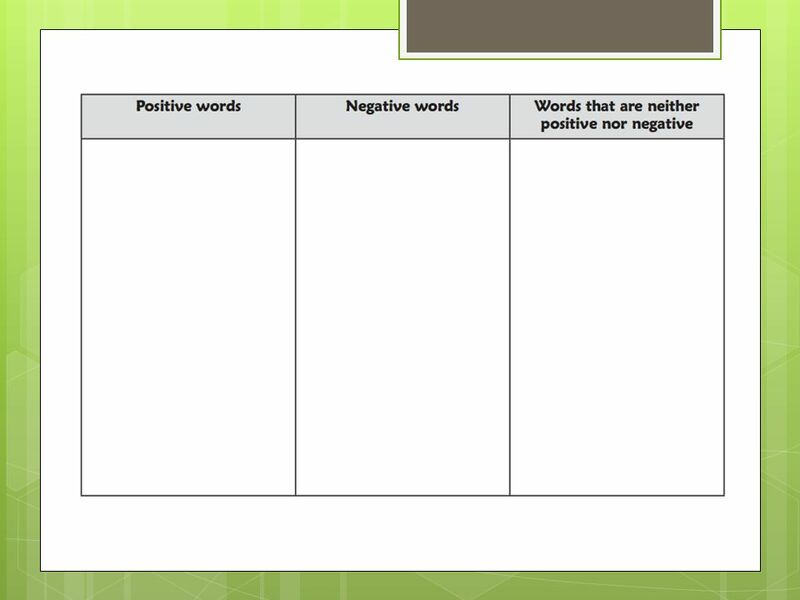  Second type of writing for Unit One NAB: you have already done Reflective. 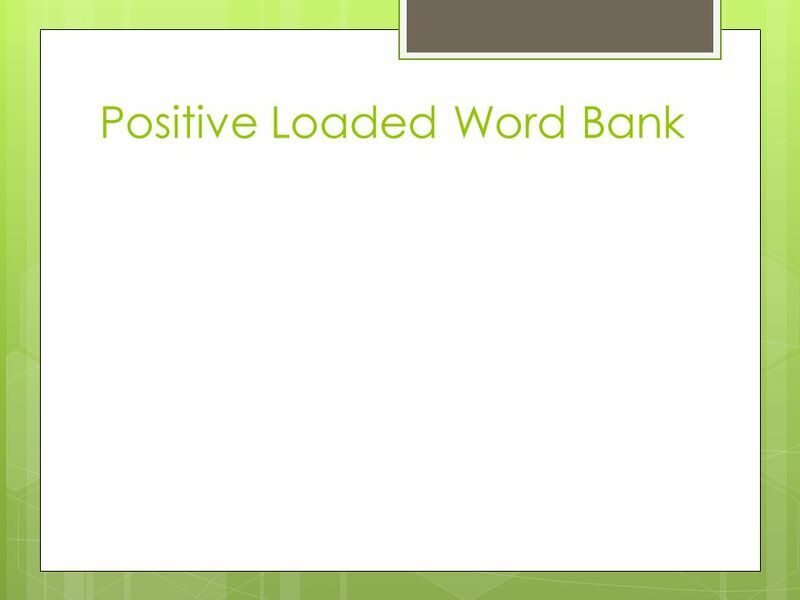  You must pass one of these in order to complete. 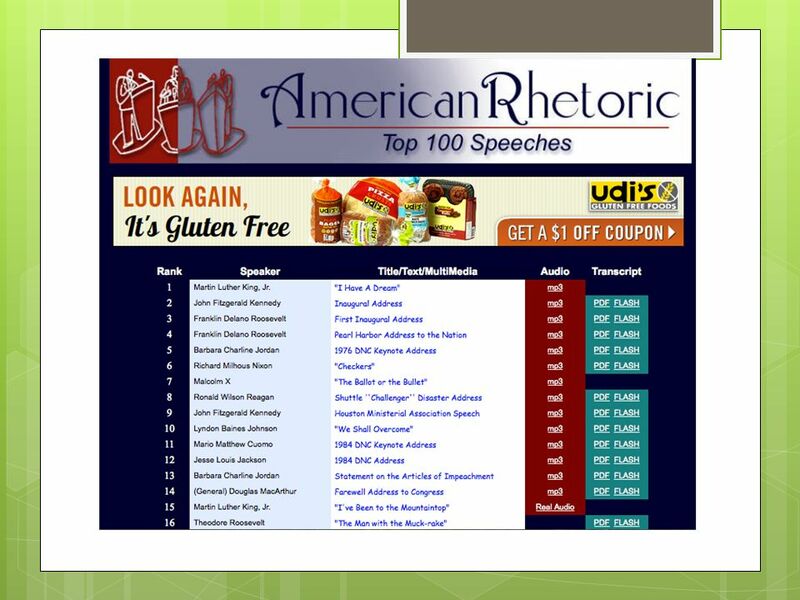 Examining the Aristotelian Triad in Text The Art of Persuasion. Appeals to Emotion Pathos. Pathos Aristotle identified pathos as one of three key ways that writers can appeal to their audiences in arguments Also identified. 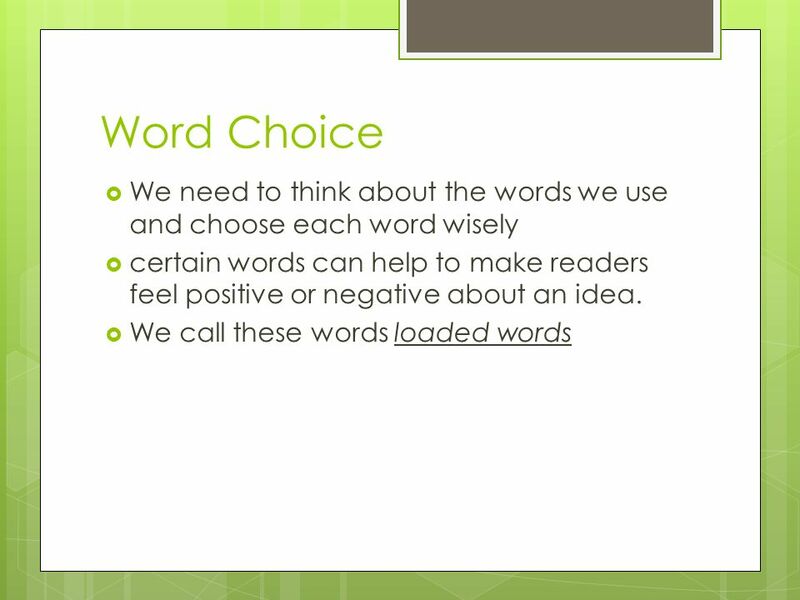 Techniques and Approaches to Persuasive Writing. Appeal to Emotion The writer appeals to the fear, anger, joy, or other emotions of the reader. The writer. Mrs. Crandall- 9th Lit/Comp. Nonfiction Pretest 1. What is nonfiction? 2. What makes a credible source? 3. What are some different forms of technical. How writers and advertisers use your feelings to get you to agree with them. Entry Task 1/6/2015  You will have 20 minutes to complete the following task:  You need to finish all of your terms.  Once you are finished, you will.